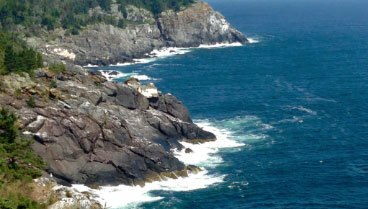 You might know Midcoast Maine for its spectacular scenery, beautiful coastline, and charming atmosphere. Did you also know that our area is home to some of the best breweries in Maine? Whether you’re a fan of hoppy IPAs, smooth lagers, or rich stouts, you can find the perfect craft brews here. See below to discover our top picks for breweries near Topside Inn, and sample the delicious options they have to offer. Plus, we invite you to explore our free Vacation Guide to find even more attractions while you’re out and about. 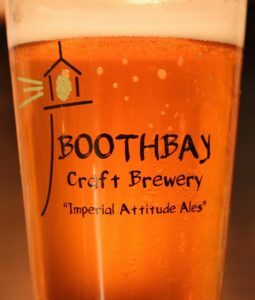 Boothbay Craft Brewery is a great place to start your tour of the best breweries in Maine near our inn. Just a seven-minute drive away, this centrally located craft brewery offers excellent artisanal craft ales that they call “Imperial Attitude Ales.” Plus, you can find tasty food and friendly service at the adjoining Watershed Tavern. When you stop by, be sure to ask about their seasonal offerings. You’re sure to find a fresh selection to quench your thirst. While the 633 Boothbay Pale Ale is their flagship brew, Black Rocks Stout, Dexter Rippa’ Red IPA, and Ken Brown Ale are fantastic options. In addition, you can treat yourself to a variety of unique collaboration, single batch, and barrel-aged beers. If you can’t make it to the brewery, we recommend using their beer finder to purchase their beverages nearby. Did you know that when you stay at Topside Inn, you get access to our VIP Brewery Package? Check it out to make the most of your visit with an exclusive tour, craft beer samples, merchandise, and more. 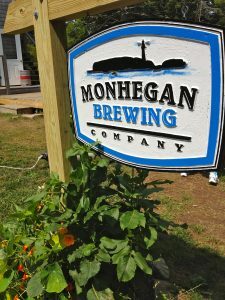 The next stop on your beer tasting journey should be at the Monhegan Brewing Company on Monhegan Island. Getting there is an excellent experience in itself with a scenic ten-mile cruise offshore. When you arrive at the island, you’ll find a rocky coastline, wooded trails, and a picturesque village with art galleries and museums. Make your way to the southern end of the island to find your craft beer destination. Many of their bottled beers are named after Monhegan Island landmarks and feature labels designed by local artists. Aside from enjoying the remarkable surroundings here, you can also try exclusive brews only on tap at this location. These include the Flyway Rye IPA, Burnt Head Berliner Weisse, and the Lobster Cove American Pale Ale. Whichever one you try, you can count on it being crisp and refreshing. Just keep in mind that Monhegan Brewing Company has seasonal hours from May to mid-October. Oxbow Brewing Company is another local craft brewery that you can explore on your next Boothbay Harbor vacation. While there is an additional location in Portland, ME, we highly recommend checking out their brewery in Newcastle near our inn. Before reaching the Oxbow farmhouse brewery and tasting room, you can enjoy a scenic drive north along the Damariscotta River. Upon arrival, you’ll find a rustic tasting room, a variety of unique brews, and even several nature trails throughout the property. With such an extensive list of beers, it can be difficult to choose. You can’t go wrong with any of their options, but some popular ones include the Farmhouse Pale Ale and Grizacca, a dry-hopped grisette. The Newcastle location is conveniently open seven days a week from 12:00 p.m. to 7:00 p.m. and until 9:00 p.m. on Fridays. Be sure to stop by and enjoy a refreshing beverage in their pleasant environment. 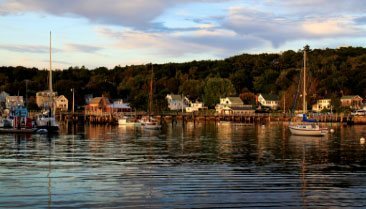 From the popular breweries to the incredible scenery, Boothbay Harbor and the surrounding area offers the whole package for a relaxing getaway. When you’re ready to explore everything there is to do here, consider Topside Inn for excellent lodging nearby. 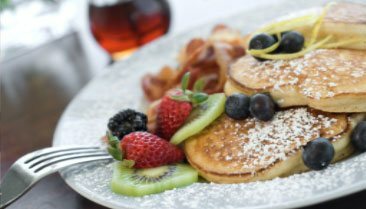 With coastal-themed accommodations, stunning views of the harbor, and delicious breakfasts each morning, there’s no better place to enjoy the wonders of Maine. 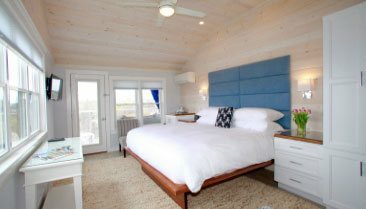 A fantastic option for your Boothbay Harbor getaway is Room 20. Here, you’re invited to enjoy a comfortable king-size bed, views of the harbor and gardens, and an en-suite bathroom with top-notch amenities. Book your stay today and make your next vacation one to remember at Topside Inn.